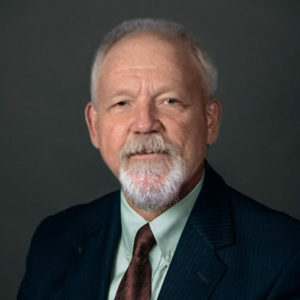 Bruce A. Stuard graduated from the Indiana University School of Law-Indianapolis (now the McKinley School of Law) in 1998 and has been a practicing attorney since. He was selected to attend the exclusive Alliance Defense Fund National Litigation Academy. Stuard then clerked for the Honorable Dennis Carroll. He founded and directed the Covenant Legal Center, a legal organization dedicated to preserving and protecting First Amendment rights. Stuard began in and has returned to a solo practice. From 2001 until 2005, however, he was an associate of John Price and Associates. Stuard’s legal practice consists of Criminal Defense, Corporate Law, Estates, Family Law, and Appellate practice. Stuard is a member of the Indiana Bar and is also licensed to practice in the Federal District of Indiana and the Seventh Circuit Court of Appeals. Stuard has also earned a Masters of Public Administration and has completed several hours toward a PhD in Political Science. He has several years of experience in Government, Leadership, and Education. Stuard has experience working in the legislative and executive branches of the federal government as well as the legislative and judicial branches of state government. In leadership, Stuard’s primary area of expertise is in organizational startup or rebranding primarily though the discovery or clarification of organizational values and creation or modification of organizational mission statements and visions statements. In education, Stuard has several years of experience in teaching, curriculum writing, and aligning curriculum to learning outcomes, program outcomes, and mission outcomes. Stuard is married to Melinda Stuard, RN, BSN. They are the parents of three children.